A group of local volunteers have formed a new entity to ensure that a beloved New Canaan tradition, long supported by some of the town’s most generous individuals and families, continues in perpetuity. 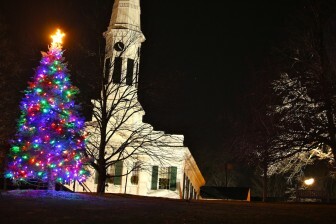 Though it may appear to spring up spontaneously from the patch of ground on which New Canaan was founded, the cherished Christmas Eve caroling at God’s Acre is in fact the result of multiple coordinated steps and support from families such as the Hersams and Karls, and residents such as Steve Benko, officials say. With the sale in October of Hersam Acorn Newspapers Inc. to Hearst, the multiple “moving parts” overseen for decades by the former New Canaan Advertiser publishers—getting lights on the tree, printing 2,000 songsheets, setting up barricades and the bandstand and making arrangements for the New Canaan Town Band as well as coordinating with groups such as the Congregational Church of New Canaan, New Canaan Police Department and Department of Public Works—all must fall to new people. Enter Benko, Tucker Murphy, Tom Stadler, Steve Karl, Leo Karl III and Scott Gress. Following multiple multi-hour meetings in recent days, they formed the God’s Acre Caroling Foundation, established to collect donations and ensure that the century-old traditional can continue (see mailing info below). “Many people in New Canaan, and it’s nobody’s fault, think that some of these things just happen—the Holiday Stroll, Fourth of July [fireworks]—obviously people know there is work behind the scenes, but this is one of those events where people like Steve Benko are going around and getting things done quietly, and we need to set up a formal system because none of us are going to be here forever but we want to make sure the caroling at God’s Acre goes on forever and ever,” Murphy said. It has sustained for decades largely due to the generosity of the Hersam family, Murphy said. 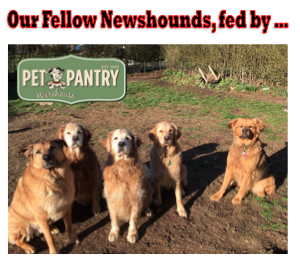 “They were organizing the whole thing,” Murphy said, including the printing of songsheet, while the Karls in the past have sponsored a back page of the print paper with lyrics. 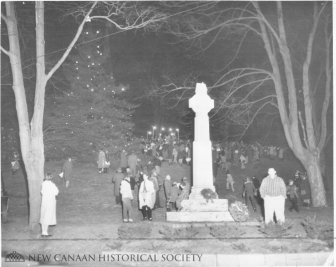 The first documented instance of caroling at God’s Acre occurred on Christmas Eve in 1916, according to historian Mary Louise King’s book Portrait of New Canaan, published by the New Canaan Historical Society. At the time, the Civic League—founded six years earlier in 1910—was a prominent group in town, tasked with improving almost every aspect of living in New Canaan, including public health, sanitation and education. The Civic League was responsible for sponsoring the New Canaan’s inaugural caroling, as a tree donated from neighboring Norwalk was brought to God’s Acre, decorated with ornaments and candles and was for the first time the center of the town’s Christmas Eve celebration. In 1917, the same year the United States entered World War One, the Civic League bought and planted a Scotch pine tree from Hoyt’s Nurseries—the present-day location of Hoyt Farms Road neighborhood—at the southwest corner of God’s Acre. As recounted by King, it was New Canaan’s first Christmas tree. Over the course of every year—and several different trees—New Canaan has celebrated Christmas with caroling every year much like the townspeople did in 1916. The only years the tree was not lit were in 1942 and ’43, as the United States was at war once again. A blackout imposed by the War Production Bond to conserve energy meant that the tree was to remain unlit, with the exception of the star that topped the tree, according to the historical record. 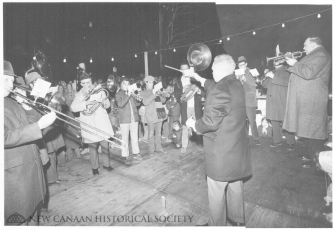 Another important component of the Christmas Eve caroling through the years has been the participation of the New Canaan Town Band, which volunteers its time. Established in 1831, the band is the second oldest band in the United States, and has provided instrumentation for carolers since the first celebration. Like the designated “caroling tree” at God’s Acre, the bandstand itself occasionally needs replacement, as it did last year because it had rotted out. 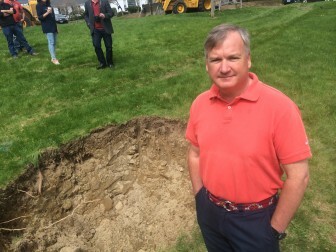 That costs money, as does hiring a contractor to set it up about 10 days prior to the caroling, Murphy said, and getting lights on the tree—a task left to professionals given the electrical wiring at God’s Acre. The group’s goal this year is to preserve the caroling and then to set up the foundation as a nonprofit organization, Murphy said. Those interested in donating should make a check out to ‘God’s Acre Caroling Foundation’ and mail it to Tucker Murphy c/o the New Canaan Chamber of Commerce, 91 Elm St., New Canaan 06840. Although I no longer live in New Canaan I grew up there. 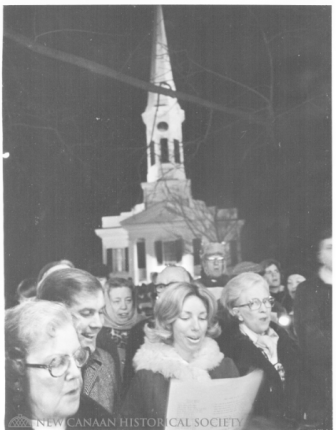 It was our tradition from late 1940’s to 1970’s to attend the caroling at God’s Acre. Fond memories of those Christmas Eves. I hope it continues forever.